It could be said that male fashion of the 1960s was dominated by one specific theme: progress. The decade saw men's styles embrace a sense of refinement, polish and, at times, even elegance. 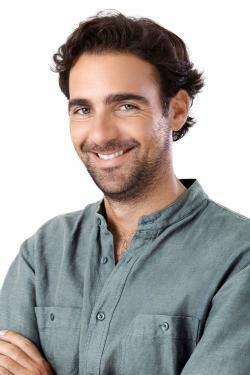 Though the looks are generally no longer relevant in their entirety, fragments of the decade's more popular trends remain influential even today. Revolutionary, indeed. Men's fashion during the 1960s took a departure from the simple, crisp looks of decades past. While previous years certainly boasted their own standout pieces, the '60s were responsible for a newer approach to style that was, until then, quite formal. During the '60s, the classics were renovated to reflect the decade's shifting cultural and social norms. From the civil rights movement and President Kennedy's assassination to the hippie movement and the British Invasion, the era was wrought with defining moments that changed the world forever. 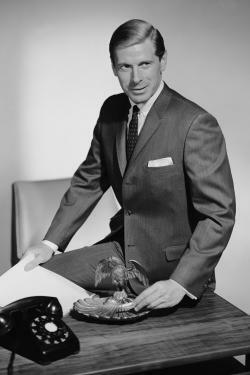 On a much smaller scale, they also changed the face of men's fashion. It isn't for nothing that the '60s stand out as one of the most defining eras in men's fashion. So pronounced were the changes in style that it was impossible not to notice how the conservativeness of decades' past had given way to a much more energetic, bold overall design. The early years, however, were heavily influenced by Italian designers, who brought a sense of refinement to men's cuts and styles. Defining moments of the decade also played a strong role in the way fashion matured over the years. For example, the British Invasion - the period that found singers from the United Kingdom enjoy immense popularity in the United States during the '60s - brought with it more than just music. The Beatles-led movement transformed the conservative business suit into a tailored, fitted number with a clean, straight cut. In general, they were slimmer, thanks to narrowed pants, pointy dress shirt collars and nipped shirts that lent the entire ensemble a sleek silhouette from head to toe. As the decade progressed, the four "Mop Tops" embraced a more casual approach to style and began to wear turtlenecks and show off color in favor of their earlier all-black uniforms. These later years witnessed a slew of decidedly feminine details that changed the face of men's fashion completely. 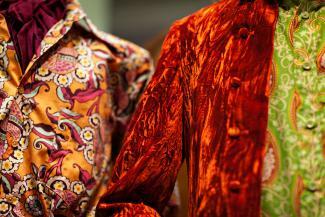 In addition to wearing their hair longer, men began to adopt bright, vivacious colors; gregarious paisley, floral and polka dot prints; velvet pants; wide belts and more. Even jewelry designers joined in the adventure and began creating collections made specifically for men. This newfound freedom and style of dress may have seemed experimental at first, but it quickly became the norm as men all over the world embraced its spirit. Nehru collars appeared on both shirts and jackets. The upright, mandarin-style collar was first popularized in India before transitioning to the west. Its mainstream popularity came in the wake of several public appearances by the Beatles and the Monkees; both bands' members embraced the clean, understated look. 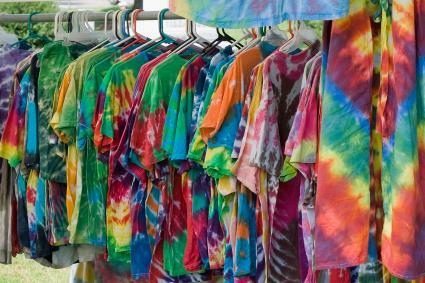 Tie-dye t-shirts grew popular in the late 1960s. A vivid highlight of the burgeoning hippie movement, tie-dye was considered a mark of rebellion. It was thus incredibly popular amongst youth, particularly those who sat in protest against the Vietnam War. 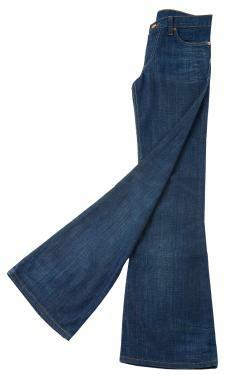 Bell bottoms hardly need an introduction. This unusual trouser style marked a sharp detour from the decade's early appreciation for slim, straight legs. The bell bottom flared out impressively below the knee, ending in an almost floating style below the ankles. They grew wider and wider in later years, but their initial popularity stemmed during the hippie period of the '60s. 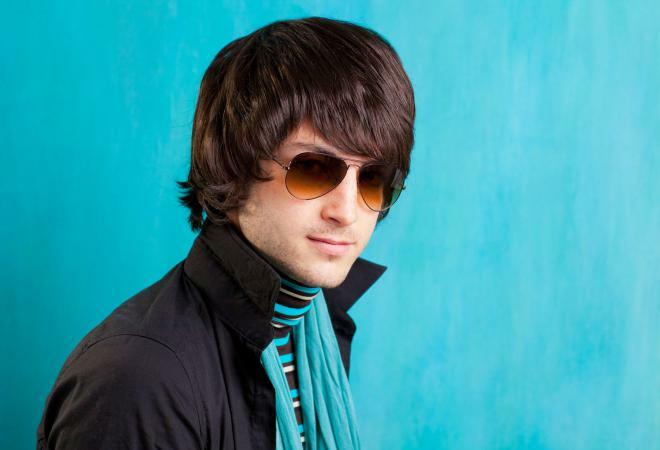 Mod styles may well best stand out as the decade's more remarkable and influential looks. Narrow cuts, clean lines and form-fitting garments were the norm in the earlier part of the decade, and even today these details inspire men's fashion designers. Dress That Man: This funky online boutique is chock-full of vintage clothing. The stock changes frequently, so check back often for fresh selections. Rusty Zipper: With a selection that spans over 20,000 items, it's hard to know where to start! 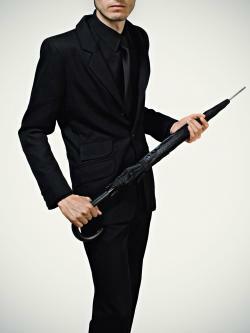 You'll find everything from mod suits and wool sweaters to skinny neckties and leisure jackets.